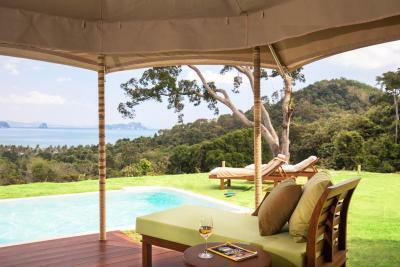 Lock in a great price for Koyao Island Resort – rated 9 by recent guests! I love the way, they designed everything eco- friendly but still comfortable. 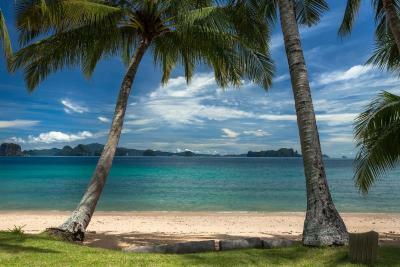 Perfect locatation with perfect beach and the view is ansolutely stunning. Excellent experience! The staff was really really nice and helpful. We have joined the hotel complimentary tour around the islands, the tour guide Mr. Mhee was so friendly and so nice. 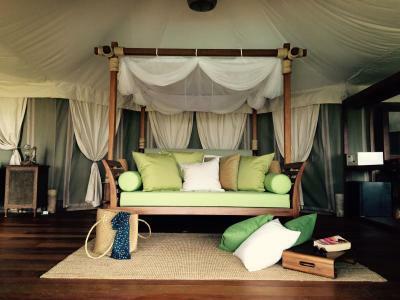 Definitely recommand you to experience this hotel! food was great. cocktails great. nice views from rooms. We LOVED this resort, so much space for the kids to play and very secure for them to go around by themselves. 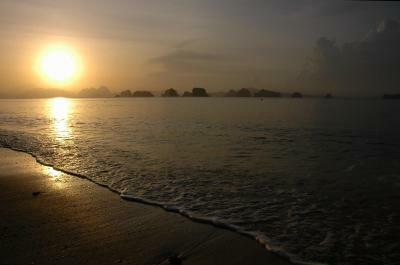 cant wait to go there again! 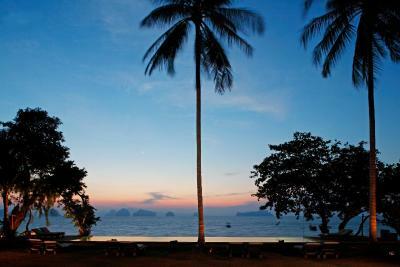 one of the best ocean view hotel,and the style of the architect & landscape is in good harmony ! 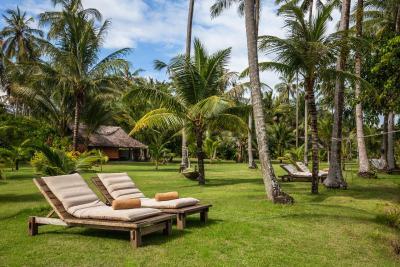 Koyao Island Resort This rating is a reflection of how the property compares to the industry standard when it comes to price, facilities and services available. It's based on a self-evaluation by the property. Use this rating to help choose your stay! 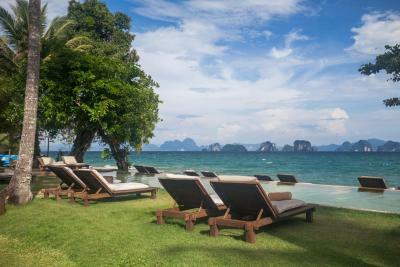 Koyao Island Resort in Phang Nga Bay is surrounded by quiet beaches and tropical greenery. 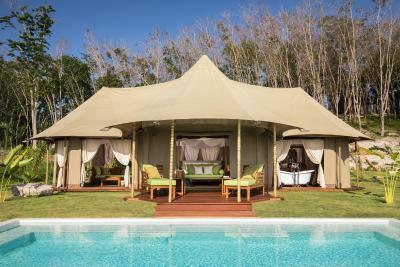 Offering an infinity pool, it also has free Wi-Fi, a pampering spa and a guest activity center. 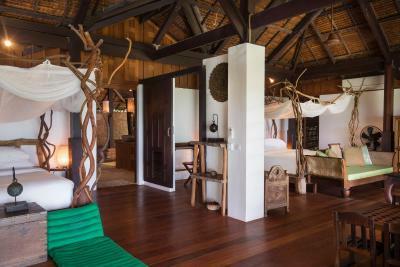 Open-air villas feature mangrove palm leaf roofs that do not store heat, while residences have modern decor and furnishings. 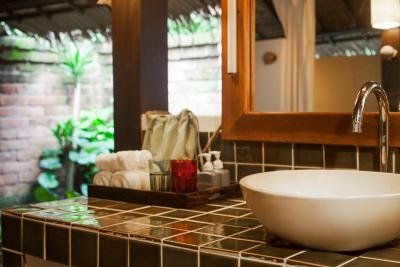 All accommodations come with a sitting area, minibar and private bathroom. 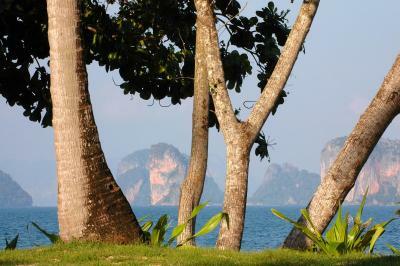 Koyao Island Resort is a one hour boat ride from Bang Rong Pier. 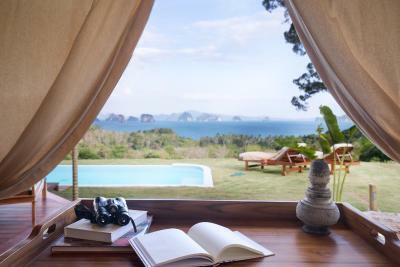 From there, it is a 30-minute drive from Phuket International Airport. Pick-up services are available for an extra fee. 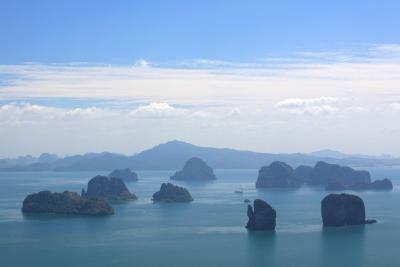 The activity center can help arrange boat rides to nearby islands, snorkeling excursions and even rock climbing trips. 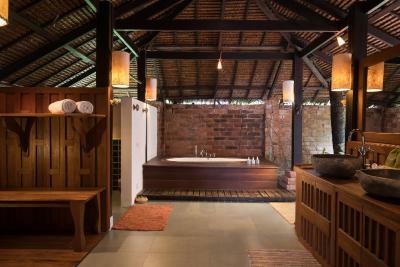 Koyao Spa offers relaxing massage, while the library provides a relaxing atmosphere to read or chat. 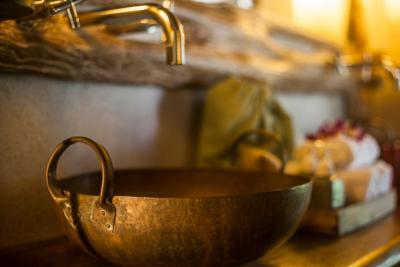 The on-site restaurant serves local and international fare, as well as fresh seafood dishes. 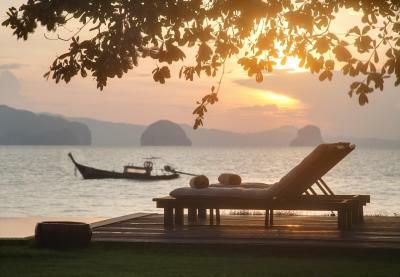 Guests can also request to dine on the private island of Ko Nok, a 15-minute boat ride away. 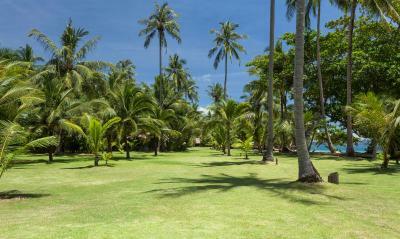 This property also has one of the top-rated locations in Ko Yao Noi! Guests are happier about it compared to other properties in the area. 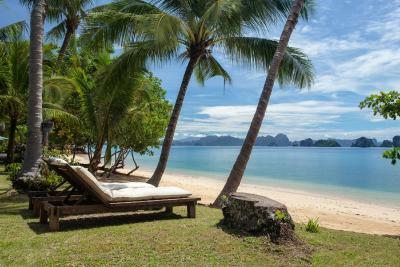 When would you like to stay at Koyao Island Resort? 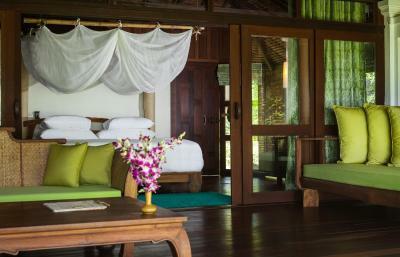 Offering plenty of natural light and air, the breezy villa comes with a well-furnished living room and a separate bedroom which opens up to views of the garden. 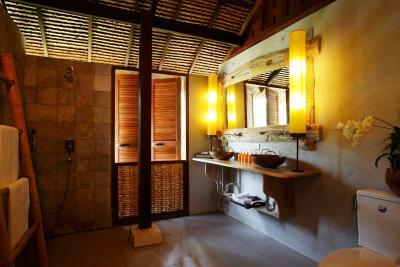 Each villa has an private bathroom with an indoor and outdoor shower. 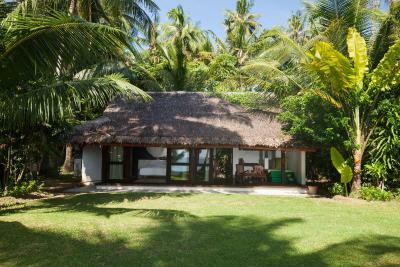 The Family Beach Villa are designed for a family of 4. 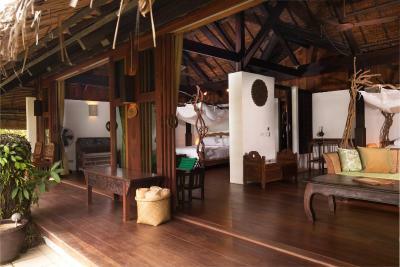 This Villas has a large and furnished living space and 2 sleeping areas. 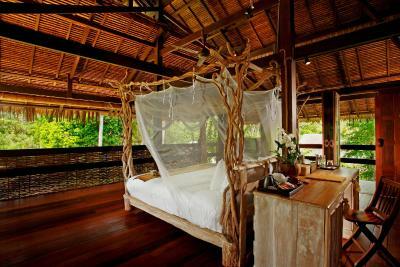 The master bedroom opens out to the living space and comes with sea and garden views. 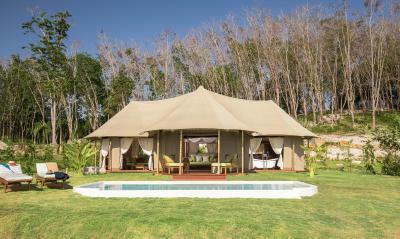 The villa can accommodate 2 extra guests under 12 years old at an additional cost. Located on the 2nd floor above the bar and close to the restaurant area, the studios offer a balcony with a seating area that opens up to garden views. Children cannot be accommodated into this room type. Air conditioning is not available in this room type. 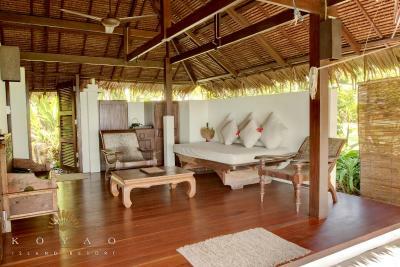 Offering sea views from the bright and airy living area and bedroom, the villa comes with a sofa and is fully furnished. 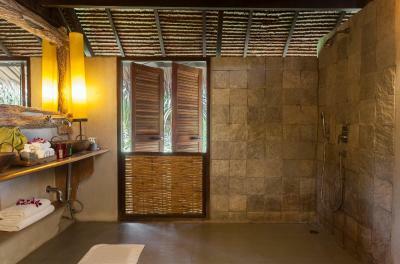 The private bathroom includes a shower, a bathtub and a walk-in dressing room. 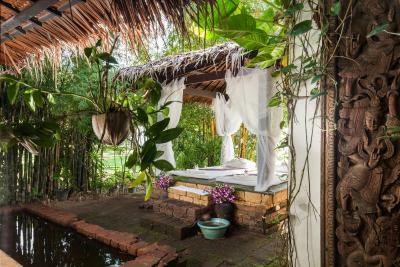 Villa can accommodate 1 extra guest at an additional cost. 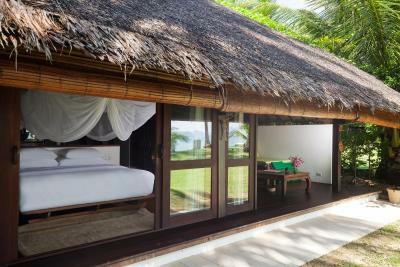 Fitted with the latest green technology in insulation and a well-developed air conditioning, this panorama tented pool villa features a fiber-optic cables and an in-room WiFi for guests' convenience. 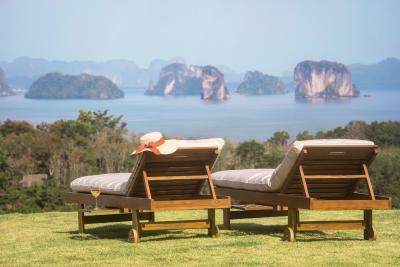 Koyao Island Resort is located in the famous archipelago of Phang Nga Bay near Phuket in southern Thailand. 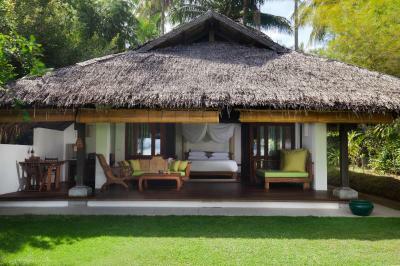 Villas, designed in traditional Thai architectural style, blend graciously into a coconut palm setting. 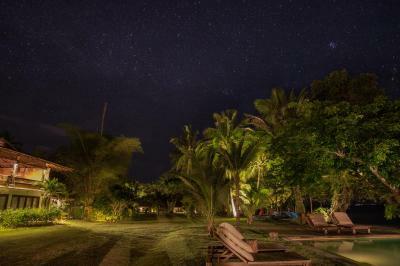 Welcome to Koyao Island Resort - in touch with your original nature. 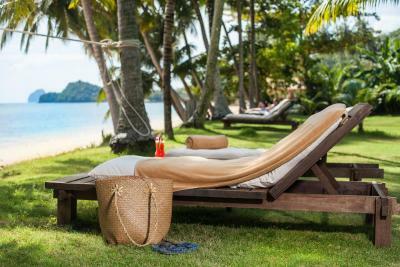 House Rules Koyao Island Resort takes special requests – add in the next step! 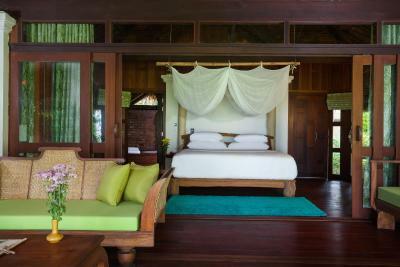 Any additional older children or adults are charged THB 3000 per night for extra beds. Koyao Island Resort accepts these cards and reserves the right to temporarily hold an amount prior to arrival. Please inform Koyao Island Resort of your expected arrival time in advance. You can use the Special Requests box when booking, or contact the property directly using the contact details in your confirmation. Some property need a maintenance. 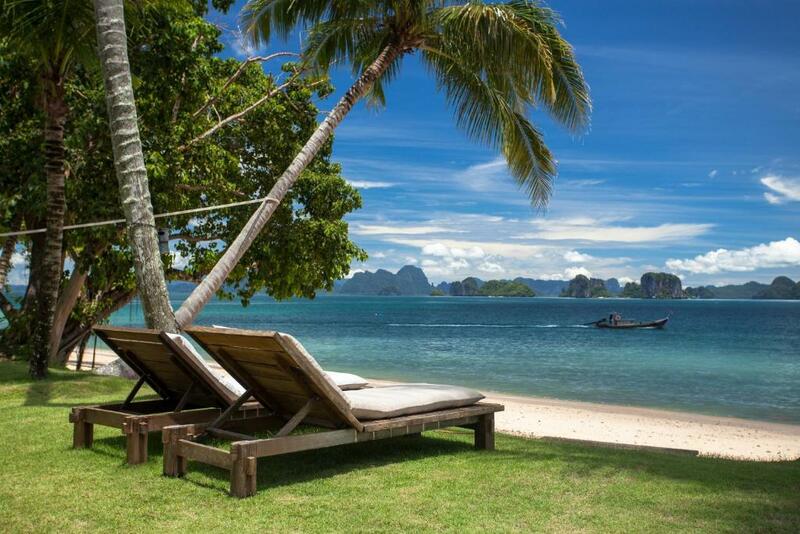 Perfect place to relax. Very calm and beautiful. Nothing!!! It was a real paradise. Wow. We have stayed in some lovely hotels. This is right up there. Firstly, to explain why I didn't offer full marks. 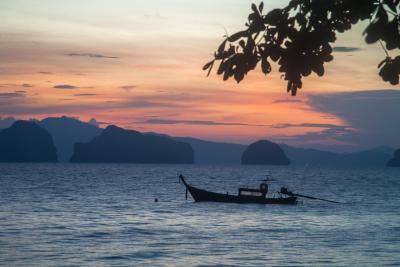 We were trying to travel 'frugally' as we were in Thailand for 4 weeks. 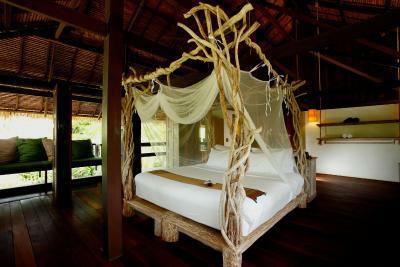 The room we chose was one of a few that was different from the main room styles, in that it was open to the elements and that means no a/c and a mosquito net and located above the hotel buildings. Consequently, the rate was lower. We made the choice and were not disappointed but it's not for everyone. The electric fans were great so it wasn't a problem. 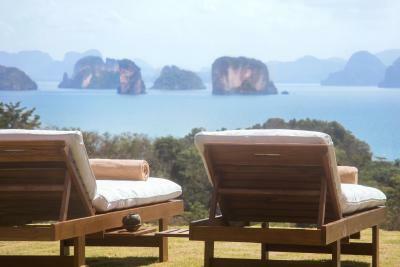 You will find it really difficult to find a hotel with a more stunning outlook. 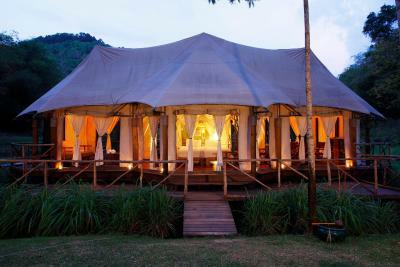 It is right next to the Six Senses and you know they don't just pick anywhere to put their hotels. 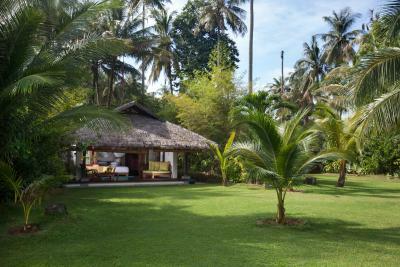 The hotel consists of mainly bungalows (with a/c) scattered in lovely manicured gardens dotted with palm trees alongside the beach. 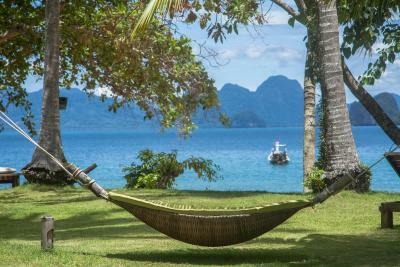 Loungers and hammocks in the garden and along the beach have either plenty of sun or plenty of shade. Take your pick. There are lots to go around. The lounger mattresses are REALLY comfy too. A really nice infinity pool overlooking the sea is perfectly located on the edge of the beach and the beach itself too is has soft sand. The restaurant isn't the cheapest, but it is a very good standard and that is what you would expect from a high end hotel such as this. If you want to venture out, there are lots of free bikes to just grab and go. There are quite a lot of restaurants close by if that takes your fancy. Breakfast is really nice with plenty of choice. 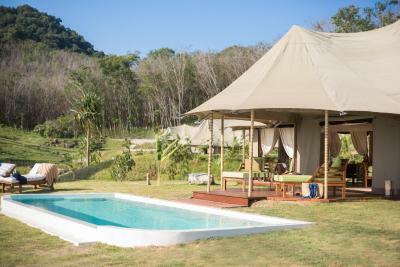 I could go on and on about this hotel, but we will definitely return in the future either to stay in a bungalow, or one of the tented pool villas which are located next door. All of the staff made us feel extremely welcome and could not have been more helpful. It was a wonderful stay. Please be aware that the sea breeze studio is walless and windowless. 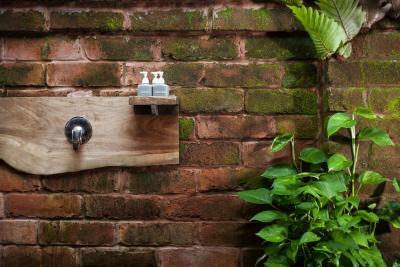 Great way to experience the nature, but is quite hot during the day. Also, there were lots of mosquitoes, the hotel does offer mosquito repellent, but I recommand you to bring your own. Poor WiFi in the tent. not sure if it is worth paying extra for beach suites as they are set further back from beach. 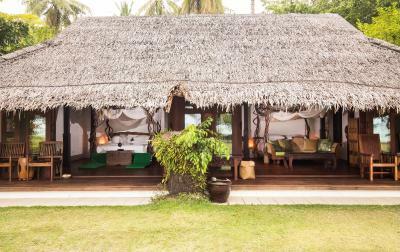 the standard beach villas looked nicer. lots of bugs but not really fault of hotel more of location. The mattress - king bed they put two seperated mattreas together...not confortable and felt like hole in middle all time. The resort was peaceful and lovely. The views and feel of the room was very relaxing. Staff were nice. They let us stay until the afternoon since no one is going to use our room. The breakfast was great and unlimited. They will cook them for you. 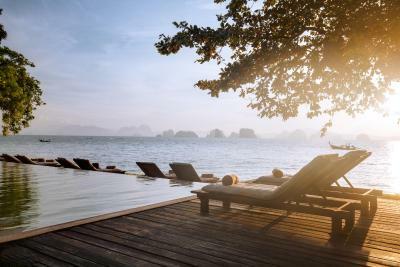 Love their infinity pool. 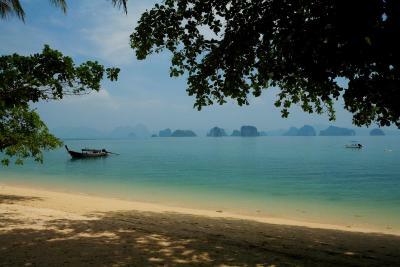 Fabulous location to experience the beautiful bay full of limestone islands. The view from the resort is amazing and the free boat tour is great.